(re)discover theatre is proud to announce casting for the world premiere of Les Innocents/The Innocents, an immersive queer thriller set in the Paris Catacombs, created and directed by Co-Artistic Director Ann Kreitman. 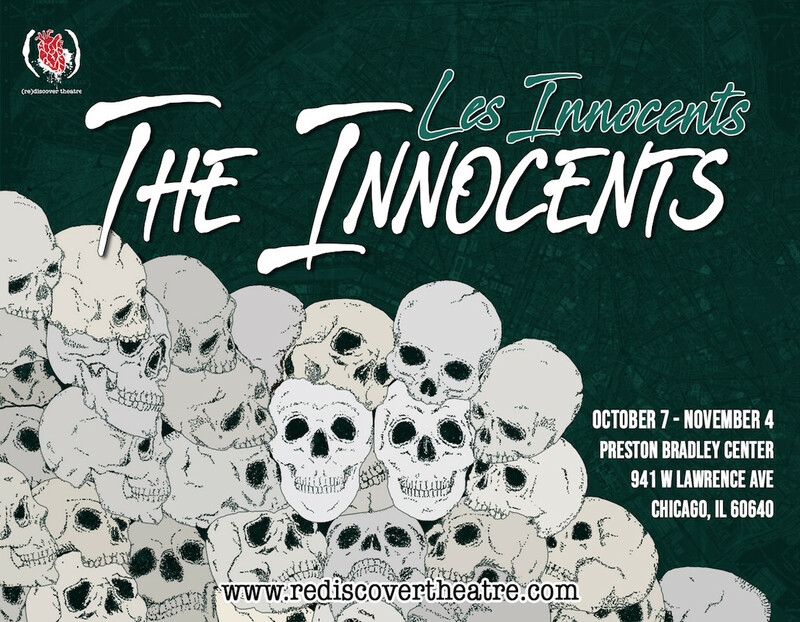 Les Innocents/The Innocents will play October 7 - November 4 at The Preston Bradley Center, Mason Hall, 941 W. Lawrence Ave. Regular run performances are Thursdays - Sundays at 8:00 p.m. Tickets are on sale now for $30 at rediscovertheatre.com/the-innocents. While most of the performance will be seated, there is a short journey at the beginning. Inspired by a real concert that took place in the Paris Catacombs in 1897, the audience of Les Innocents/The Innocents prowls the catacombs like ghosts. Gui, a composer on a quest for love, emerges from the maze to encounter eccentric and musical ghosts who misdirect their pursuit and inspire chaos for the living and dead. Les Innocents/The Innocents presents realistic and grossly human queer characters in mythic circumstances to investigate our relationship to duty, death, and defeat.